"Hormone Imbalance affects men and Women after the age of 40. " With over 25,000 patients nationwide, we offer the best HRT pricing and hormone therapy support services. Our Board Certified Physicians are Mayo-Clinic® and Cleveland Clinic® trained in Bio-Identical Hormone Replacement Therapy, Anti-Aging Treatments & Regenerative Medicine. 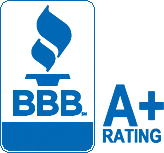 Our medical practice possesses an A+ Rating from the Better Business Bureau. Patient Satisfaction is our number one concern. 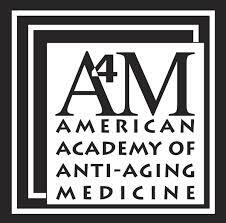 Anti-Aging Centers offer therapies that can help delay or lessening the effects of aging. Most age management efforts focus on the skin, body composition, cardiovascular and physiological affects of the aging process. Age Medicine Physicians learned over time that hormones had a direct impact on the signs and symptoms of aging and age-related health conditions and disease. As certain hormones declined with age, physical, mental, emotional and sexual symptoms began to appear. With restoration of these hormones, symptoms were alleviated and in some cases age related health conditions reversed. This was how some of the important hormones began to be called fountain of youth or elixirs of youth hormones. Modern Day Anti-Aging encompasses diet, exercise, stress management, weight loss, vitamin supplementation, hair and skin rejuvenation treatments, body treatments and more recently hormone optimization (BHRT) or bio-identical hormone replacement. Some of the more popular advanced treatments include laser, micro-facials, injectables like botox, juvederm, restylane, vitamin infusion IV's, body contouring and new types of liposuction using light and heat energy, natural hormones like human growth hormone, testosterone and HCG, PRP platelet rich plasma and stem cell therapies.